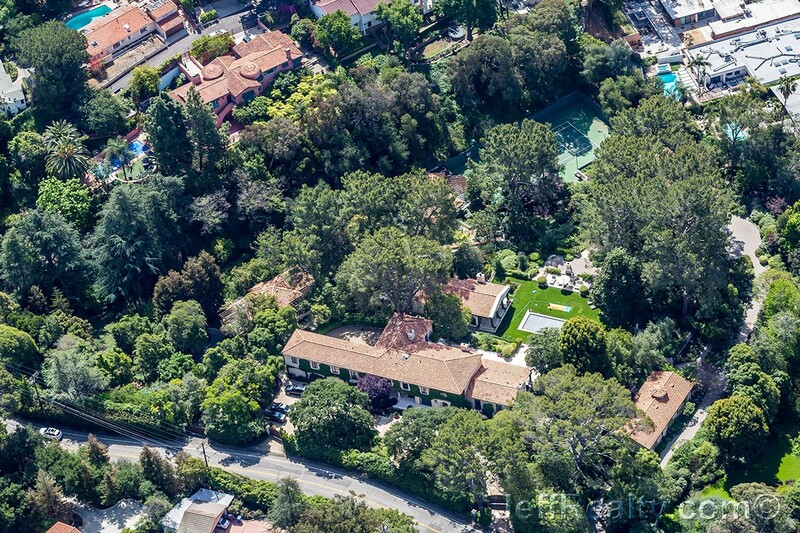 Actor/comedian Sacha Baron Cohen and wife/actress Isla Fisher have recently finished renovating the nursery of their Mediterranean-style villa at 7640 Mulholland Drive in Los Angeles for their baby boy. Born on March 17, 2015, Montgomery Moses Brian Baron Cohen is the first son for the couple who also have two daughters, Olive and Elula. Baron Cohen first met Isla in 2002 at a party in Sydney, Australia. The couple became engaged in 2004 and married on 15 March 2010 in Paris, France. 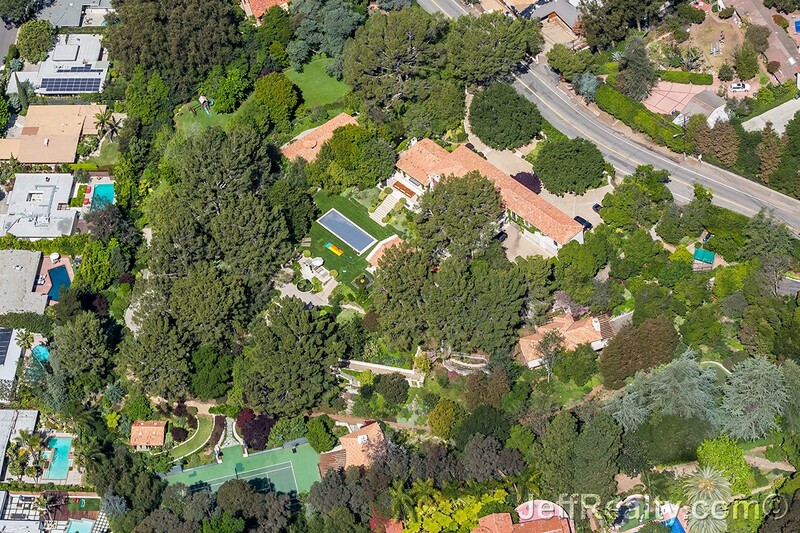 Sacha and Isla reportedly paid $14 million for their estate, which includes a rectangular pool, lighted tennis court, and four acres. 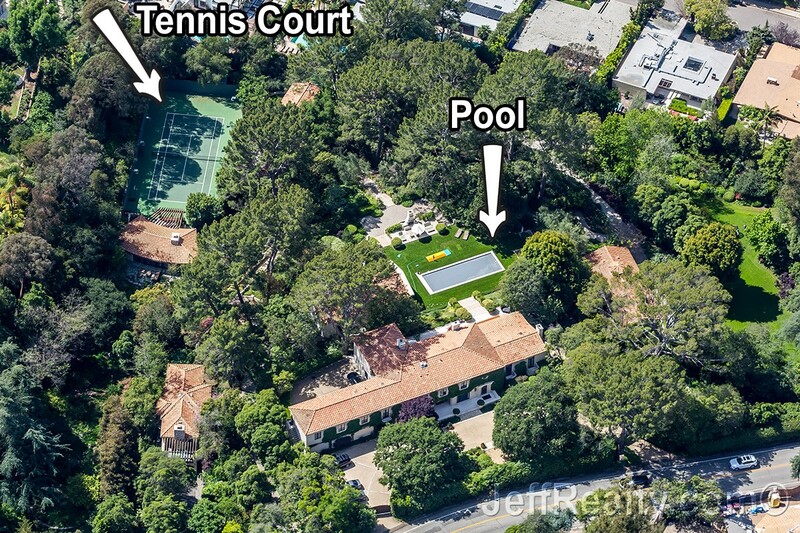 The couple recently sold another California home to Jonah Hill, but divide their time between their LA compound and New York City. The main house has 7 bathrooms and 7 bedrooms and has 5,377 square feet of living space. The estate also has a guest house and a pool pavilion with a columned portico and 5 drive-in gates. The estate has a detached home theater and a special caretaker cottage with extensive manicured laws for the children to play. A slip-and-slide child’s toy can be seen behind the covered pool. Posted in Admiral's Cove homes for sale, Bay Hill Estates homes for sale, Celeb Homes, Jonathan's Landing homes for sale, Jupiter Country Club homes for sale, Jupiter Island homes for sale on October 4, 2016 at 8:00 am.